State Capital: Juneau – Scroll To The Bottom To See Our “Visiting Juneau” Travelogue! The glacier silt serves as a mild abrasive, gently exfoliating your skin and removing weathered skin cells. The exfoliating action leaves your skin smooth and refreshed with a healthy, vibrant glow. 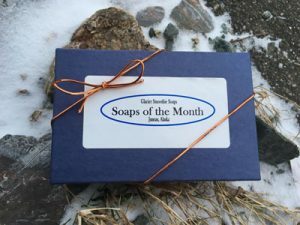 Produced only by Glacier Smoothie in beautiful Juneau, these one of a kind soaps have been awarded an Alaska Trademark, U.S. Trademark, and U.S. Patent. 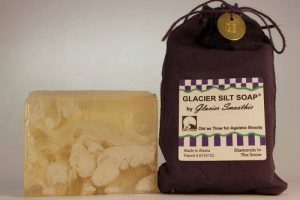 If you’re looking for a special Alaska Made gift, these soaps are sure to please! You can place your order online and Glacier Smoothie will ship directly to your door. And when you’re in Juneau, be sure to stop in and say hello! We discovered wild game meats well over 20 years ago and have been devotees ever since. 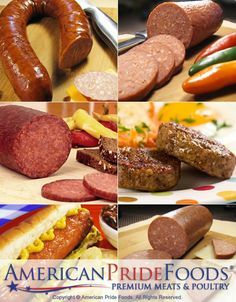 These meats are lower in fat than traditional meat, healthier for you, and easy to cook. In fact, the biggest challenge is not to overcook them (luckily, getting the hang of it is easy!). American Pride Foods selection is impressive, which you’ll discover at their website. Choose from caribou, elk, reindeer, venison, and more in a wide variety of cuts. We enjoyed a few reindeer hot dogs on our visit to The Last Frontier – delicious! If you’re looking for one stop shopping for Alaskan food gifts, click through to their site. You’ll find all sorts of variety packages and they ship to all 50 states. A perfect gift for the gourmet in your life, or as a memorable thank you gift for neighbors, clients, or anyone on your list! Alaskan Salsa Salmon: This independent Anchorage business combines two distinctly delicious flavors in their products – salmon and salsa! A unique taste of Alaska! The company also offers packages of smoked salmon, reindeer chunks with gravy, gift boxes, freezer packs, and much more. Check them out for a truly Alaskan experience! Some of the interesting products you’ll find at their online store include Double Smoked Game Hens, Alaskan Smoked Salmon Spread, Smoked Chinook & Sockeye Salmon, and over a dozen specialty sausages. Any of their products can be ordered online – they’re shipped FedEx Overnight for maximum freshness. Enjoy the flavors of The Last Frontier! Birch Boy offers a syrup called Everybody’s Rhubarb, made from the rhubarb plant which seems to sprout in everyone’s garden and yard. This sturdy plant, a Siberian transplant, typically grows as tall as a man and is used in pies, baked goods, and now syrup! You’ll see all their different products at the Santa’s Smokehouse website and there are a few in particular we’d like to highlight. First is their Salmon Caviar, rarely seen available for online purchase. Add a touch of elegance to your gathering with this – it’s fresh and ready to serve right out of the jar. Second is the Santa’s Smokehouse Salmon Chowder Kit. It includes two 7 ounce cans of freshly packed salmon and a bag of their Chowder Mix – perfect for those chilly days in Alaska, or wherever you may call home! You’ll find both of these items under the “Wild Salmon Specialty Items” tab at the website. Don’t forget to explore their fresh wild caught salmon options as well … fresh from The Last Frontier! The tapping season is in April and lasts only two to three weeks until the trees bud. You can use birch syrup as a sweetener in recipes or on any dish where syrup is commonly used. It’s great when added to ice cream! 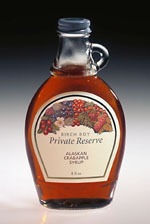 You can order birch syrup directly from Alaska via the Kahiltna website. They also have gift packs! 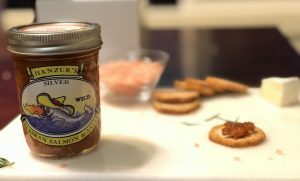 Alaska Artisanal: Buy tasting packs and gift boxes of Alaska made delicacies, including Alaska made potato chips, cereals and mixes from the Alaska Flour Company, salmonberry jam, raw wildflower honey, and more. 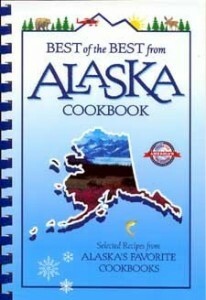 Check out their variety of Alaska food gifts here … one stop Alaska shopping! Alaska Wild Harvest Birch Syrup: Have you ever tasted birch syrup? It has a spicy sweet flavor that’s different from maple syrup … and much harder to find! It takes about 100 gallons of sap tapped from Alaskan birch trees to make one gallon of syrup – typically less than 5000 gallons are produced a year. Birch syrup is used not only with traditional breakfast dishes, but also baked goods, milkshakes, natural sodas, and barbecue sauces, just to name a few … buy some online right here. They’re Alaska Books & Calendars, and at their website you’ll find scores of titles dedicated to The Last Frontier. History, fiction, adventure, biographies, and documentaries are just a few of the genres you’ll find within their online catalog. If you’re looking for Alaskan themed calendars and gift items, this is your source. Note card sets, CD’s, DVD’s, magnets, and maps are all waiting for you. There’s something for everyone here! 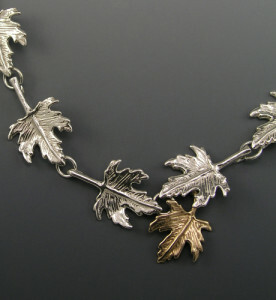 Easy one stop shopping – click through to view their large collection! Her small company is called Sara’s Loot and when you visit her online shop you’ll understand what we mean. She collects beach shells and items discarded by the sea to create jewelry pieces, home decor, whimsical gift items, and much more. 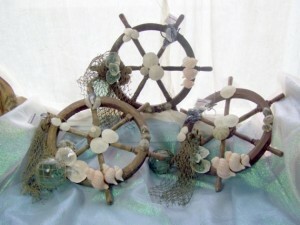 The piece shown is a collage of a captain’s wheel, glass fishing float, real shells, sand dollars, and sea sponges. It’s just one of dozens of dozens of fascinating works you can bring into your home from the Sara’s Loot store. Vases, wind chimes, and frames are among the many other items, all created by hand and reflecting a true piece of Alaska. One of Alaska Magazine’s most useful features is their Communties section. Each Alaska community is profiled with a bit of history, visitor overview, helpful links, and video highlights of the area. 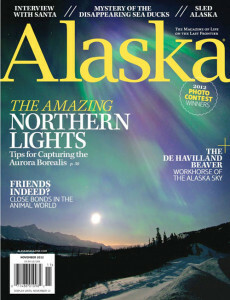 Click through to the Alaska Magazine website to order a subscription … a very useful and economical Alaska themed gift! The Alaska Rug Company, based in Port Bailey, uses 100% upcycled Alaskan rope and fishing line and turns it into rugs, placemats, and more. 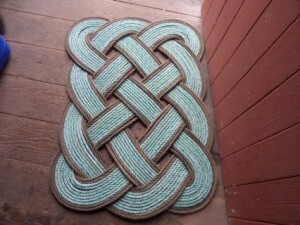 The rope and fishing line is cleaned and repurposed into items like the doormat shown. They’re hand woven and virtually indestructible … resistant to sun, rain, mildew, salt and anything else Mother Nature can throw at it! Alaska Rug Company also makes coasters, decorative letters and numbers, wall plaques, and even earrings and bracelets featuring fishing rope! Lead Dog Designs: This Alaska company makes stylish and practical gifts for man’s best friend … colorful and very cool dog collars! These good looking handmade collars start at just ten dollars. They’re available in a wide range of designs and if you really want to pretty up your girl dog, some even sport Swarovski crystals! Click through to their site to see all the fun designs … Woof! 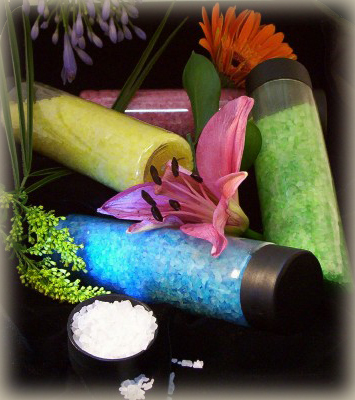 Use their bath salts to transform your bath into an Alaskan spa or pamper your skin with natural honey or soy yogurt Alaska soap. Yummy Chummy Dog Treats: Need to buy a gift for a four legged friend? 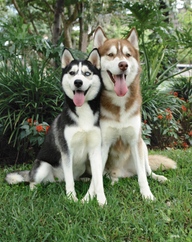 Try Yummy Chummies, a really healthy dog treat made with Alaska salmon and rich in Omega 3 oil. Alaska Ulu Company: This Anchorage company has been producing unique knives and cutting boards for over 40 years … the handles are made from Alaska birch trees and they are handcrafted in the same manner Eskimos have done for centuries. Ideal for preparing fish, the ulu knife is a symbol of Alaska and used all over the world. Oomingmak: An Alaska owned company based in Anchorage, this cooperative has produced warm clothing items made from the Arctic Musk Ox since 1969. These beautiful creatures naturally shed during the spring, and the fur is hand knitted into garments that are eight times warmer than wool and extremely lightweight. 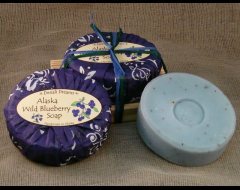 Denali Dreams Soap Company: Alaskan made soaps, lotions, body products (even dog shampoo soaps!) are created by Denali Dreams of Anchorage. Petersburg is a fishing village located in the far southeast portion of Alaska, adjacent to the Frederick Sound. The company is privately owned by the fishermen themselves, and has steadily grown to supply freshly smoked salmon chunks and fillets to consumers all across the country. The salmon is smoked and packaged in special moisture sealed pouches. You will not need to refrigerate your salmon until the package is opened – ideal for gift giving! You can order directly at the Tonka Seafoods website in 8 or 16 ounce packages or in cans. Skinless boneless sockeye salmon is available as well! Copper River Seafoods: When a state is as well known for great seafood like Alaska, it’s hard to narrow down the most appropriate gift. Choose salmon and you’ll miss out on king crab legs, choose wild halibut and miss out on Alaskan cod and more … the dilemma of a natural bounty! 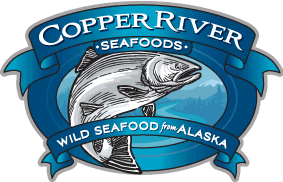 We learned of Copper River Seafoods from an associate of ours who uses them for gifts for business clients. Based in Anchorage, the company has facilities all across the state, ensuring the freshest and most diverse selection of fish from the surrounding waters. Copper River King Salmon, Wild Pacific Cod, Scallops, Smoked Delicacies, and Crab Legs are just a few of the treats you’ll find available at their website, ready to ship our from the online store. Further, Copper River Seafoods has a wide selection of gift boxes and combination packages which make your decision much easier. We particularly like the Denali Alaska Seafood Feast, one of their best sellers. It offers over 20 servings of a combination of King Crab Legs, Wild Halibut, and the salmon the state is known for. The fish is vacuum packed and shipped priority overnight nest day air. And don’t forget about your best friend! Copper River also produces natural dog treats made from fresh salmon, and trust us – your pal will love them! Click through to their website to see the entire product line and to place your order … great gift ideas from The Last Frontier! Among the many specialties you’ll find at their site are Alaska Sea Packs – King Salmon, Red Salmon, and Silver Salmon packed in jars or cans. Smoked varieties are available too, as are crab legs, Alaskan Cod, and a wide selection of seafood gift baskets and specialty gift packs. There’s something for every seafood lover on your list! 10th & M Seafoods also carries several Alaskan cookbooks, like the one shown, which make great gifts for anyone with a fondness for the state or simply someone who enjoys preparing seafood. The book pictured is “Best of the Best From Alaska”, which contains 350 recipes compiled from a wide range of sources across the state as well as beautiful pictures and Alaskan trivia. It’s the ideal economical gift from The Last Frontier! If you’re looking for Alaskan salmon gift boxes, you’ll find what you need at the online Taku Store. You can order salmon to be shipped to your door or as a gift, along with many of their other items like King Crabs, prawns, and other salmon items like caviar and jerky. They’ve even got you covered through the preparation process – at their website you’ll see their line of Taku Rubs, expressly make to season fish. Nine different rubs are available including a unique apple chipotle variety that’ll add a sweet kick to your culinary creations. 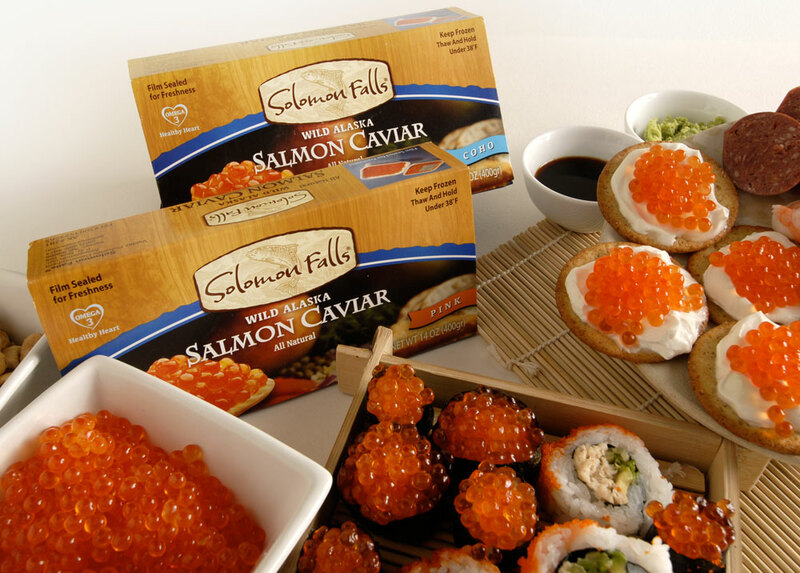 There are two types of salmon caviar you can purchase – Pink Salmon and Silver Salmon. The pink is briny and sweet, while the silver is a stronger and more pronounced flavor. A true delicacy, salmon caviar is perfect for holiday parties and is shipped frozen overnight to your home or office. Simply thaw and enjoy! 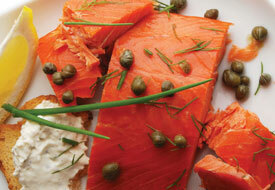 You can also buy salmon sides, smoked portions, samplers, and combination packs. A wonderful gift for a special client who is a fan of Alaskan seafood! Simply Incredible: Based in Anchorage, Simply Incredible specializes in one of our favorite Alaska products, wild salmon. Did you know that Alaska is home to almost 90% of the wild salmon in North America? Order yourself some smoked salmon or salmon bacon by visiting the Simply Incredible website. Consider combining your order with a family member or friend and save on shipping costs! 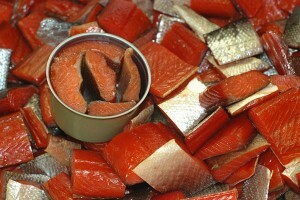 Denali Seafood: Wild caught Alaska salmon is probably the most highly thought of gift from Alaska. The taste is markedly richer than farm raised salmon and chock full of healthy nutrients. One of the best places to buy real Alaska salmon is Denali Seafood, which packs and ships the same day the fish is caught. 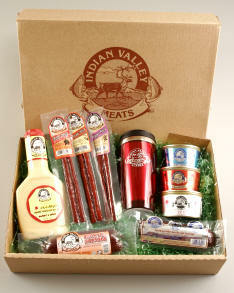 They offer a wide variety of gift packs and can ship just about anywhere. Since 1980, the ACF has distributed almost $50 million dollars in grant initiatives to businesses and individuals within the state. Preserving communities, ecosystems, and local economies are at the forefront of their efforts. Perhaps more importantly, the Center is actively involved in educational efforts, particularly with school groups around the state. The emphasis is to educate young and old about these animals, their habitat, and learning to peacefully co exist in our shared world. The Center operates on admission fees and donations – visitors can observe these magnificent creatures up close in open air enclosures which mimic the animal’s natural habitat. You can support the vision of this noble endeavor by shopping at the Center’s online store. You can also adopt individual animals, purchase a membership for yourself or as a gift, or gift the center with a tax deductible donation. 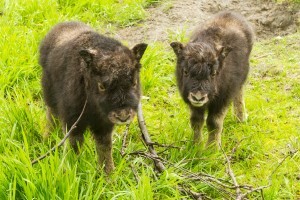 Learn more about the Center’s current residents by visiting their website! Ranging the entire heat scale from Mild to Extra Spicy, you’re sure to find the perfect sauce for your grilling endeavors. 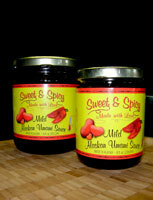 These sauces are made in small batches with no high fructose corn syrup or MSG. They’re also gluten free and most importantly, stand up to everything from chicken wings to barbecue salmon to chops and roasts. 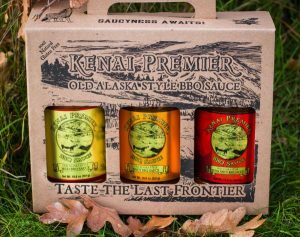 Alaska Made Barbecue Sauces – a great gift idea! The honey from Sarah’s Alaska Honey is known as Fireweed Honey because the fireweed plant is the primary source of nectar for their bees. It’s very light in color and in taste … you’ll never want to go back to store bought honey again! 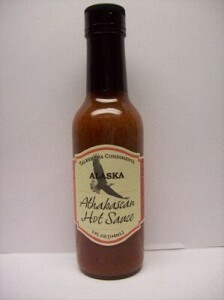 Pictured is one of their products called Athabascan Hot Sauce. It’s made with hot pepper mash, vinegar, garlic, and black pepper and designed to enhance meat, fish, rice dishes, and more. The sauce is named after the native Athabascan people, who traditionally lived in the state’s interior and noted for their hunting and fishing skills. Among Talkeetna Condiments other products are the aforementioned Salmon Seasoning, halibut & seafood seasonings, hot sauces, and their Merlot Moose Sauce for steaks and wild game. The Alaskan Umami Sauce comes in three different varieties … mild, hot, and extra hot. 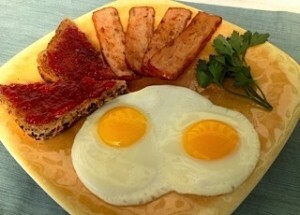 The sauce is very versatile … use it atop any type of meat or fish, as a dipping sauce, or as a marinade. The Alaska Sweet and Spicy website has a number of useful suggestions too, including adding the sauce to stir fry dishes or simply mixed with a block of cheese! Brown sugar, cayenne pepper sauce, garlic, sesame oil, and sea salt are some of the primary ingredients in their sauce … completely natural and qualified as vegan. They’re soy free and wheat free as well! Learn more about the company and these versatile sauces at their website … you can order online for yourself or as a unique Alaska themed gift! 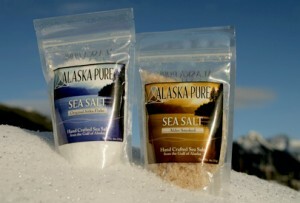 Alaska Pure Sea Salt Company: As you look through the state pages here on State Gifts USA, you’ll see we’re big fans of unique seasonings to complement the flavor of our cooking. One of the best natural seasonings you can add to your own culinary creations is sea salt, like the salt made by the Alaska Pure Sea Salt Company of Sitka, AK. The husband and wife team of Jim and Darcy Michener harvest fresh sea water near the shores of Sitka. The water is heated for a time, and when evaporation occurs, the salt becomes concentrated. The end result, pyramid shaped salt crystals, offer a delicate texture and a unique clean flavor much superior to standard salt. Use Alaska Pure Sea Salt on anything … it adds a wonderful finishing touch on seafood, steaks, or even fresh popcorn! Based in Wasilla, Alaska Spice Company makes one of the best fish dip mixes we’ve had … it’s their Alaska Salmon Dip. Just add your own salmon, mix the ingredients together, and you’ve got a dip that’ll be the highlight of the party! “Anchorage At Night” Print – Artique Ltd. 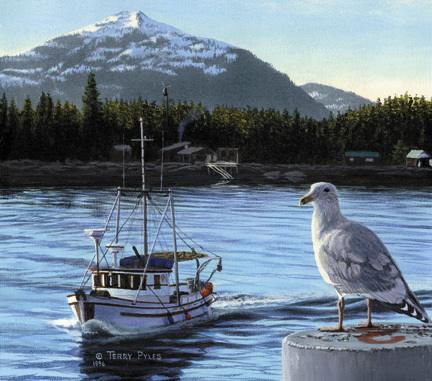 They carry art prints from Alaskan artists, like the one shown done by Byron Birdsall, as well as posters, ceramics, hand blown glass items, jewelry, and more. The Point Art Cafe: This combination cafe and art gallery is operated by Alaskan artists Terry and Cheri Pyle … their motto is “Serving Community Through Art, Craft, and Food”. 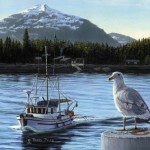 Many of Terry’s prints and paintings are available online, like the harbor print shown. 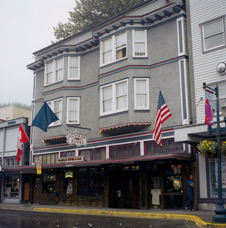 The cafe is located in Ketchikan and offers a free shuttle for visitors from their hotel or ship. 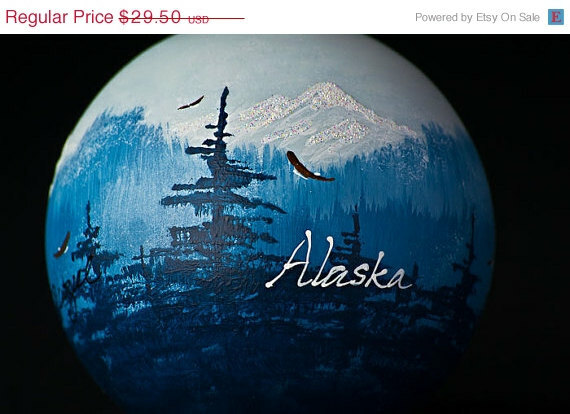 Visit their site to see the Alaskan art for sale: Alaskan Art. Tell us about your favorite Alaska made products … comment at our Contact Us Page! 6). Lake Clark, located about 150 miles south of Anchorage, is Alaska’s deepest lake. It is 1,056 feet deep and part of Lake Clark National Park. But that’s not to say the climate is inclement. It’s not! 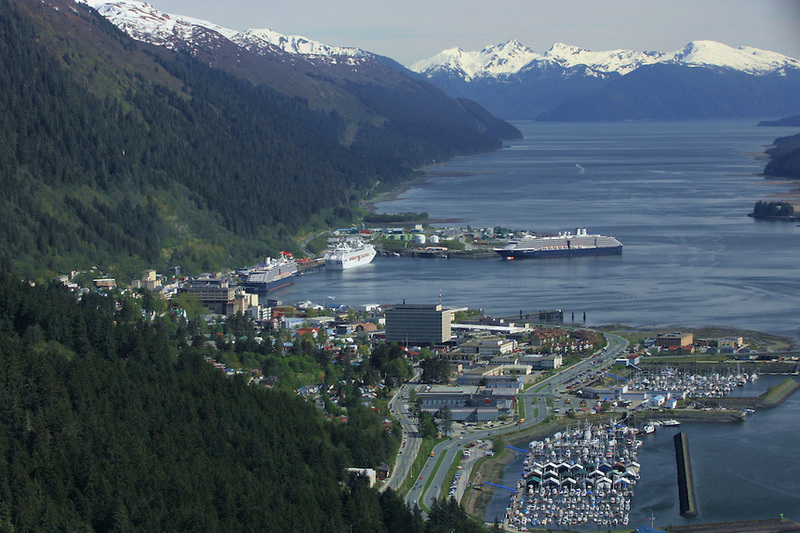 Juneau enjoys a climate moderated by both the mountains and the Pacific Ocean. It rarely gets hot here – summer high temperatures typically range in the mid to upper 60’s. On the off chance you’re visiting in winter, expect high temperatures in the low to mid 30’s. To Midwesterners like us, that doesn’t sound too bad! 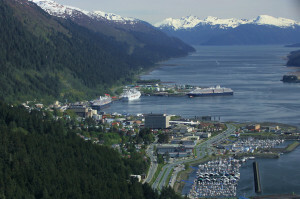 Downtown Juneau: The cruise ship docks are located at the southern end of downtown. Unless you’re going on an excursion, most visitors will have 8 or so hours in the city, which is ample enough to see the highlights and explore a bit. One of the first sights you’ll see after disembarking your ship is a statue of a dog, whose history dates back to the late 1920’s into the 1940’s. Her name was Patsy Ann, a bull terrier stray who arrived in the city via a ship from Portland in 1929. The dog, who was born deaf, became known as Juneau’s Official Greeter because she recognized vibrations from the ship whistles as they docked. Patsy Ann would run to the docks every day when the ships came in, greeting visitors and getting her fair share of treats and photo opportunities. At night, she’d sleep in a nearby longshoremen tenement, only to return to the docks the next day. An outright celebrity, Patsy Ann was one of the most famous dogs in the West. 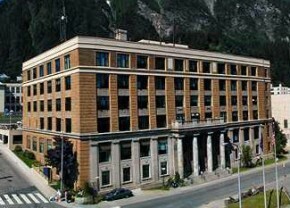 Not the fancy edifice you might find in other state capitals, the Alaska State Capital Building is a former territorial government center that now serves as the epicenter of The Last Frontier. Free tours are given daily by well informed docents who enjoy narrating the building’s history and how the legislature functions. Just a few short blocks away is the Governor’s Mansion, one of the better looking buildings in downtown. The Governor can literally walk to work! As mentioned, you won’t have a whole lot of time in Juneau if you’re on a cruise, but you will have time for at least one meal and a stop for refreshments or libations. We loved the vibrant scene at the Red Dog Saloon on Franklin Street. Yes, it can be a bit touristy, but the food is good and the decor kind of reminds you of being in a gold rush town, which Juneau was at one time. It’s casual pub food and cold beer here (perfect!). For something a little different, and local, try the reindeer sausage sandwich. It’s not unlike a lean bratwurst – very enjoyable! Just a block up Franklin Street is the iconic Alaska Hotel and Bar. This place dates back over a century (1913 to be exact). It’s got quite a history – it was at one time rumored to be a house of ill repute. 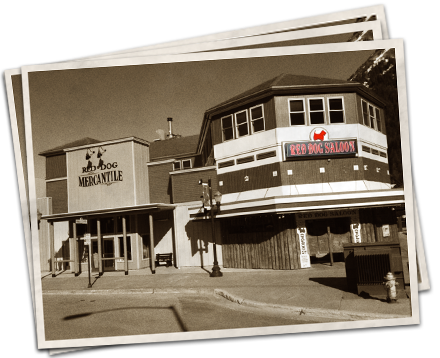 Now it’s remodeled and cleaned up and a great place to try some Alaska brewed beer and get off your feet. Highly recommended if you like historic bars! In just a few hours, you can get a good feel for Juneau, but of course, there’s much more to see and do especially as you get farther afield. 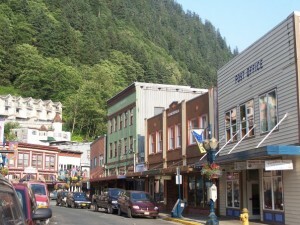 An excellent source of information about the city and the area is the TravelJuneau.com website, which offers a comprehensive list of things to do and places to stay if your travels give you more time in the city. An Alaskan cruise, needless to say, is a wonderful experience. Seeing Juneau is just a small part, but a real pleasure! The city is friendly, welcoming, and happy to see you! 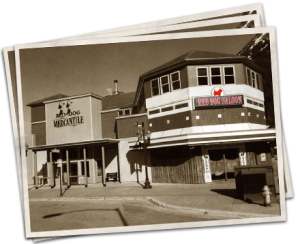 Stop in a few of the local spots to shop or rest your feet a bit and have a bite to eat – you’ll enjoy it!